The Republican Party of Wisconsin endorsed U.S. Senate candidate Leah Vukmir Saturday, believing she is the candidate who will unify the party and bring the “Wisconsin way” to Washington D.C.
To be endorsed by the party, state candidates need to get more than 60 percent of the vote. Vukmir received 73 percent of the vote compared to her opponent Kevin Nicholson, who got 27 percent of the vote. 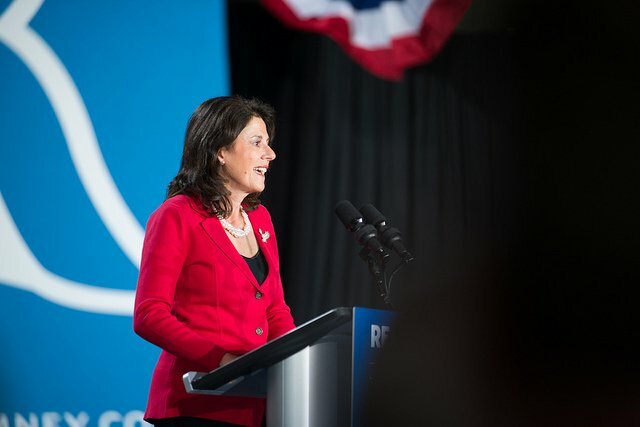 Getting endorsed by the party gives Vukmir access to donor and voter lists, as well as staff and field offices, according to a press release from Vukmir’s campaign. “After all the work we’ve done together with Governor Walker to turn Wisconsin around, it’s so humbling to have their unwavering endorsement in my race to take that change to Washington,” Vukmir said in the press release. 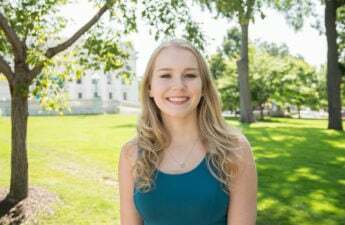 Following the endorsement, Vukmir’s campaign called on Nicholson to resign from the race, according to the press release. Democratic Party of Wisconsin spokesperson Brad Bainum said in a press release the divisive rhetoric between Vukmir and Nicholson is reminiscent of the 2012 election. 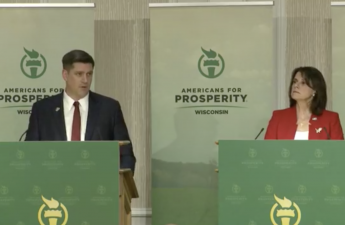 “Given that Leah Vukmir and Kevin Nicholson are dragging each other farther and farther into the mud, Senator Ron Johnson and Wisconsin Republicans are rightly worried about repeating the same costly and expensive mistakes of their 2012 primary,” Bainum said. Receiving the endorsement does not make Vukmir the party’s nominee — that will be decided in the Aug. 14 primary. The winner of the primary will go on to face U.S. Sen. Tammy Baldwin, D-Wisconsin, in the November election.